Our line of Smokey Mountain Cookers are renowned for their durability, ease of use, and for making neighbors jealous when they smell something delicious being smoked. Their unique design lends themselves well to very long smoking sessions and the results speak for themselves. From time to time, a Smokey Mountain Cooker owner might reach out to ask us why there is smoke escaping from the smoker in a few different locations. Some questions specifically center on the door and why it isn’t airtight. There’s a conception among some that the smoker must be 100% airtight to provide good results, but that simply isn’t the case. To help understand why some smoke escapes, let’s learn a bit more about the design of the smoker itself. Our Smokey Mountain Cookers are based on a basic 3-piece design: the lid, center ring and bowl. The 3-piece design allows for the smoker to be easily transported. 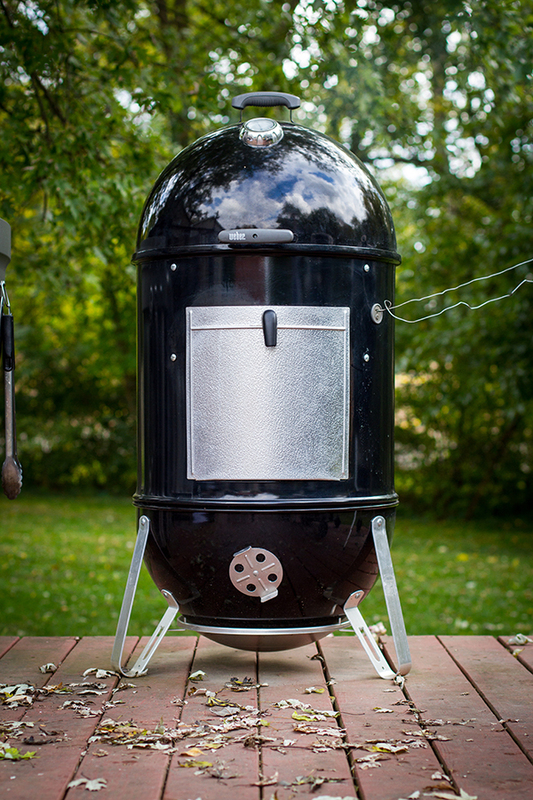 The center ring features a aluminized steel door that provides the ability to add more charcoal or wood to the smoker, as need throughout smoking sessions. The door is also designed to hold up to the moisture generated by the smoker to prevent any corrosion from developing. It’s not at all unusual for some smoke to escape from between each of the 3 pieces, especially on a new smoker. It’s also not unusual for some smoke to leak near the edges of the smoker door. Over time carbon will build up and may decrease the amount of smoke that leaks out, but there’s always a chance that a little bit of smoke will get through, even on older, well used smokers. The most important thing to remember is that it’s not going to significantly affect the ability to make some truly amazing smoked food. There’s already going to be smoke escaping from the vent on the lid, and sometimes some may even come out through the bowl vents. Extensive testing (and many delicious racks of ribs, brisket, turkeys, and pork shoulders that we’ve eaten) has proven time and time again that having some smoke escape doesn’t stand in the way of creating some truly amazing smoked food. 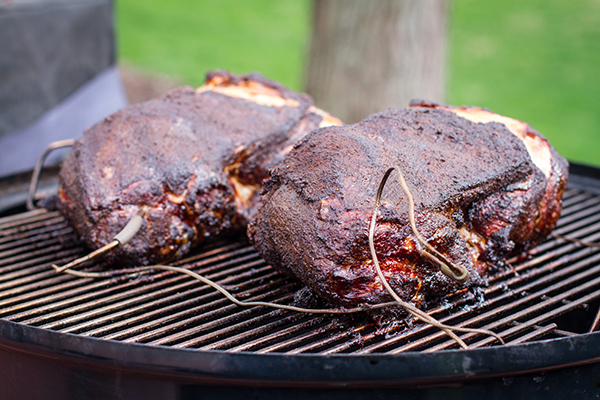 Check out our tips on using a Smokey Mountain Cooker.